CarbonCure Technologies is a finalist for the NRG COSIA Carbon XPRIZE Challenge and has a shot at winning a total of US$8 million in the next two years. The organizers of the competition announced the 10 finalists for the prize this morning. Each finalist will receive US$500,000 and spend the next two years testing its product in one of two tracks. At the end, one winner from each track will receive a cash prize of US$7.5 million, or about C$9.6 million. Halifax-based CarbonCure, whose technology cures concrete by injecting carbon into it, assembled a team two years ago comprising companies involved in all stages of the concrete supply chain. It was one of more than 2,000 entrants in the competition. The Carbon XPRIZE is a competition that challenges teams to develop breakthrough technologies that convert CO2 into one or more products with the highest net value. Co-sponsored by NRG and COSIA, the multi-year competition is designed to encourage industry to make useful products from CO2 rather than emitting it into the atmosphere, exacerbating climate change. The philosophy behind the XPRIZE competitions is to offer a lucrative cash award. The money should help the winners grow their company, and be alluring enough that even the losers develop world-changing technologies. CarbonCure has grown into a profitable company by developing a process of hardening concrete by injecting it with carbon dioxide. This process saves concrete-makers money and makes their operations consumers of – rather than producers of – carbon. CarbonCure licenses its technology to concrete producers and will have its 100th installation this year. In the XPRIZE Challenge, CarbonCure will be one of five finalists in Track A, which will demonstrate technologies at a coal power plant in Wyoming. Five other finalists will compete in Track B at a natural gas power plant in Alberta. The statement said Canada leads all nations in the competition with four teams in the final round. Three finalists are from the United States, while the remaining teams represent India, China and the United Kingdom. CarbonCure’s XPRIZE team is led by Executive Vice President Jennifer Wagner – the only female team lead in the competition. The other partners in the CarbonCure team are cement and concrete producer Cementos Argos S.A., concrete producers Thomas Concrete and BURNCO Rock Products, industrial gas company Praxair, Inc., carbon capture innovator Sustainable Energy Solutions, engineering specialists Kline Consulting LLC. The team includes such design and construction companies as LS3P Architects, RJC Engineers, DIALOG, Uzun + Case Structural Engineering, and Walter P. Moore Structural Engineers. CarbonCure was recently recognized for its CO2 utilization solution by McKinsey Consulting and the Global CO2 Initiative, and for three years straight has been named to the Top 100 Global Cleantech companies by the Cleantech Group. Earlier this year, CarbonCure hit a significant milestone by taking the carbon dioxide produced from cement production and using it to cure concrete with the CarbonCure technology. Many companies in the industry produce both cement and concrete and using excess carbon from one to cure the other further reduces industrial carbon emissions. 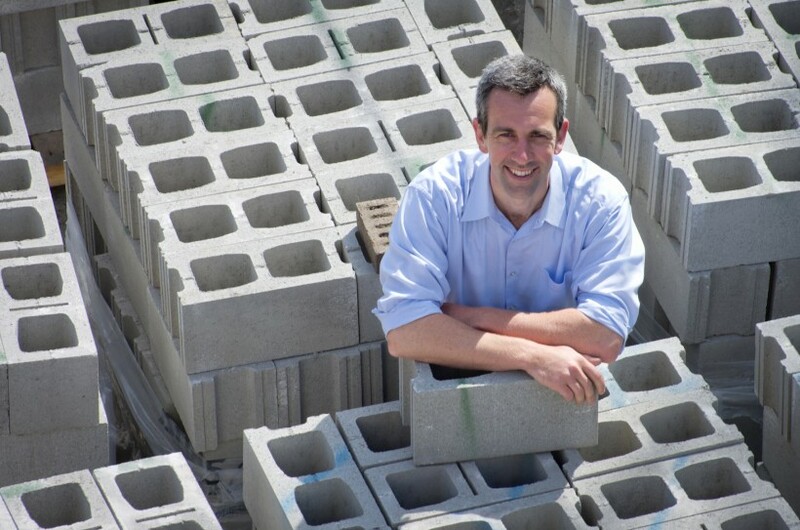 Carbicrete, Montreal -- Carbicrete has devised a way to make concrete without using cement, replacing it in the mix with steel slag, which is industrial waste. Carbon Upcycling Technologies, Calgary – CUT uses CO2 emissions to cultivate nanoparticles that enhance materials like concrete, plastics, and batteries. Cert, Toronto – Cert’s system provides the electrocatalytic conversion of CO2 into value-added fuels and feedstocks using novel, high efficiency catalysts.